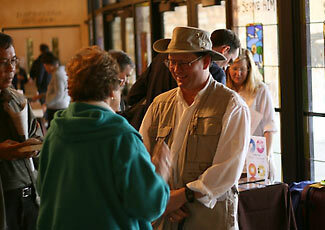 Steve Ray would love to come to your parish or conference to share the truth and beauty of the Catholic Faith. 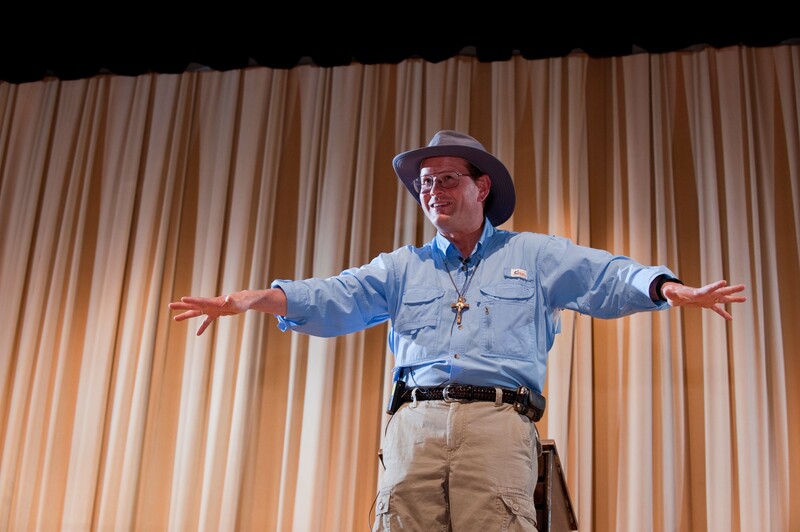 From his conversion story to his adventures overseas, from his talks on St. Paul to raising a Catholic family, from teaching the Bible to explaining the Eucharist – he is excited and ready to speak to your group! 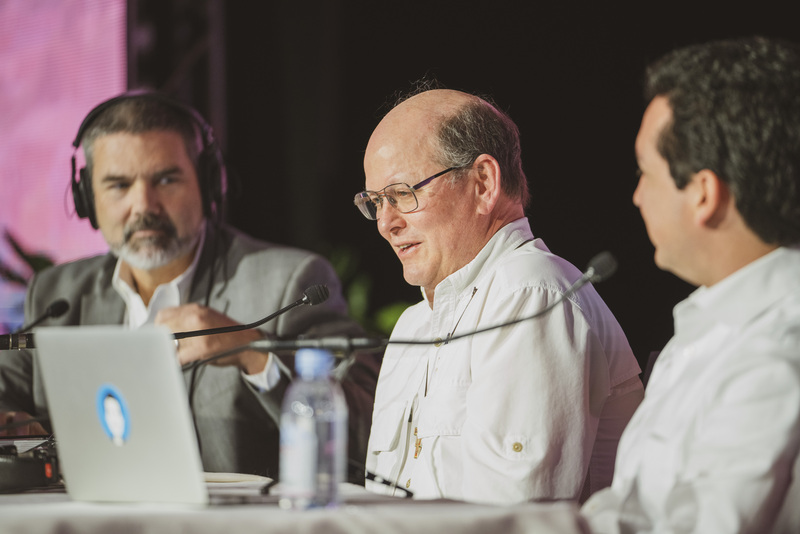 Steve has given seminars and talks all over the world – Rome, Jerusalem, India, Dubai, England, Philippines, Japan, Australia, Israel, Canada, Guam, and many more). 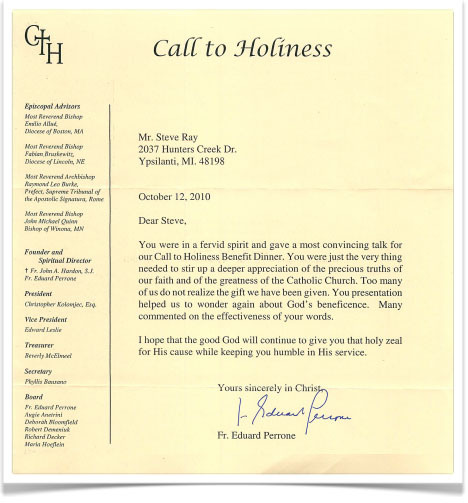 He has worked extensively with with EWTN, St. Joseph Communications, Lighthouse Catholic Media, Catholic Answers, Franciscan University of Steubenville, Legatus, Fullness of Truth, Catholic Scripture Study International, Defensores Fidei Foundation, Ignatius Press, Regina Apostolorum University in Rome, Dr. Scott Hahn’s St. Paul Center, Catholics Come Home, Lighthouse Ministries, Family of Faith in Bombay and the Arab Emirates, and many others. 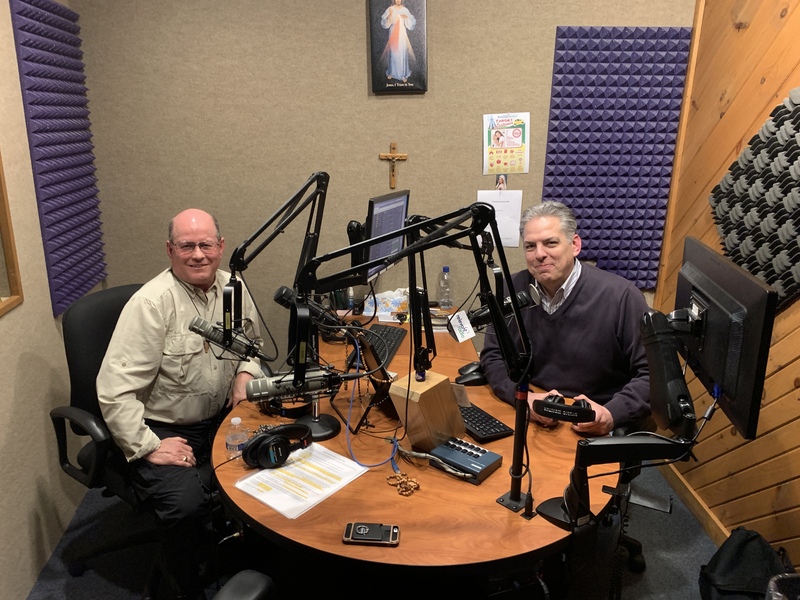 He has appeared on Fox News, Canadian TV and is a regular guest on EWTN, Relevant Radio, Ave Maria Radio, Catholic Answers Live, Guadalupe Radio, and many other TV and radio programs. Step One: Please check Steve’s 2018 – 2019 Schedule. See if your desired dates are available. Step Two: Complete the Speaking Request Form. Step Three: Steve or his son Jesse will respond by e-mail (or phone) to discuss pricing and other details. We may request further information and will answer any questions you has as well. Please allow a few days for a response — we don’t have a staff, we do this all ourselves. Step Five: When Steve receives the signed contract and deposit, we will contact you as we will begin making arrangements. We generally book our own hotels and airlines. 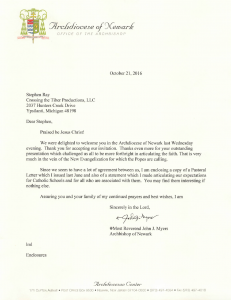 If you have any questions regarding this invitation process, please don’t hesitate to contact Steve Ray at sray@me.com or his son Jesse at Jesse@CatholicSpeakers.com or by phone 734-926-9070 or fax 734-480-1238. Having worked with Steve Ray all around the U.S., the Philippines, India, and more, I have found his presentations to be exemplary. 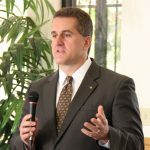 Steve combines an extensive knowledge of the various subject matter about which he speaks with an enthusiastic presentation that is infectious. 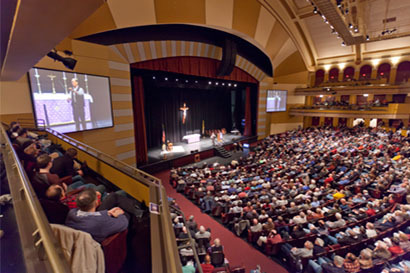 I have watched him over and over again bring his audiences to their feet with excitement and applause while simultaneously challenging them to their knees to pray, and to study and dive deeper into their Catholic Faith. Nobody does this better than Steve Ray. 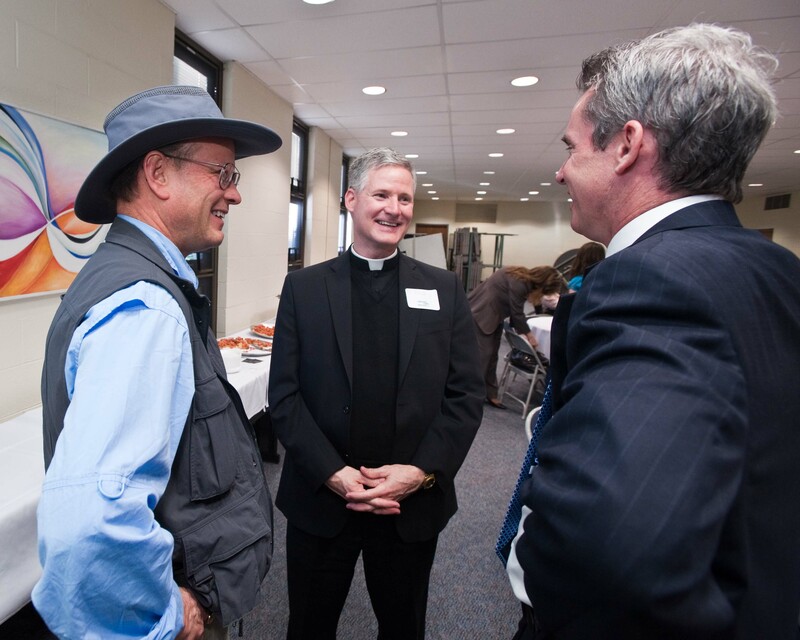 It was a pleasure to meet you and to hear you speak at our “Be A Man Conference” for the Diocese of Scranton. 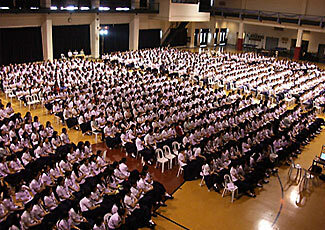 Your fast-paced and fascinating presentation kept the men on the edge of their seats. I am amazed that you could fly back 13 hours from Israel and be fresh the next morning. In particular your apologetics were very good. 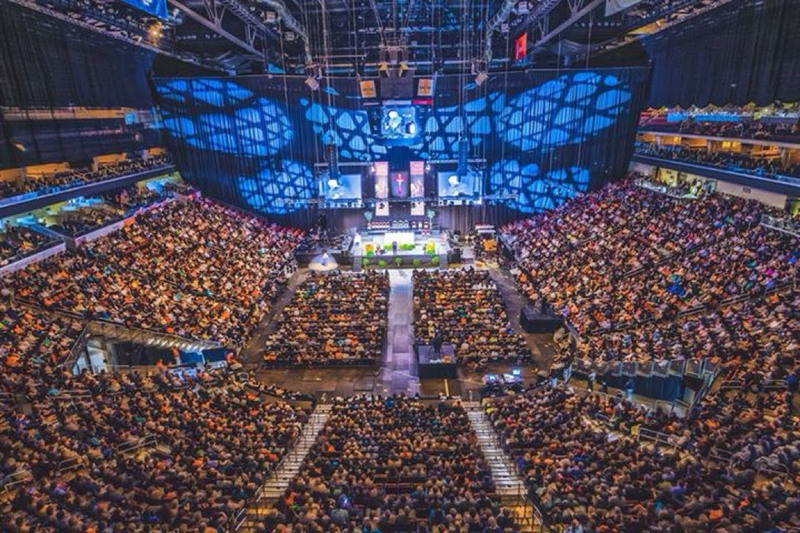 I think that the way Holy Mother Church has been beaten down in popular culture it is good for Catholic Men to hear that Catholics have always had the right stuff. You are living proof that God is a great recruiter. We needed men with an evangelical knowledge of the Bible and a passion for it and He went out and signed you up! 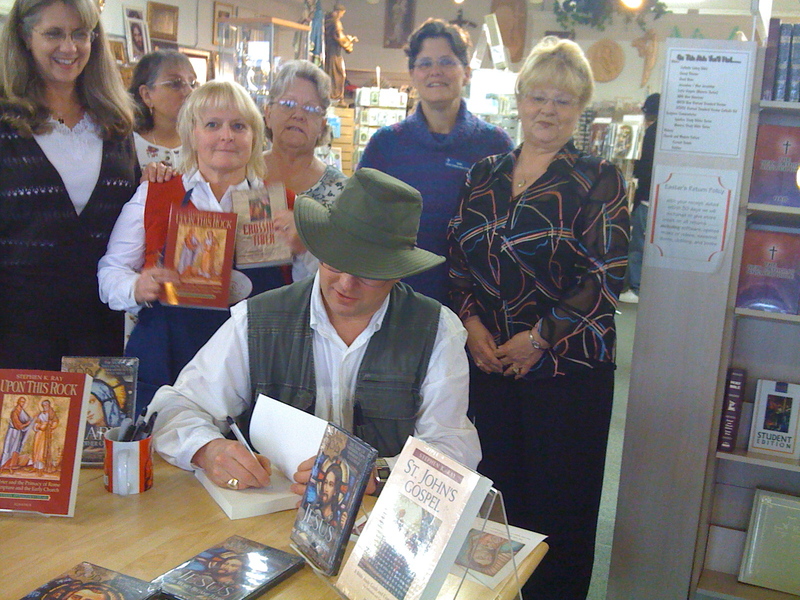 I will prize the signed copy of your testimonial story and look forward to a future pilgrimage with you. 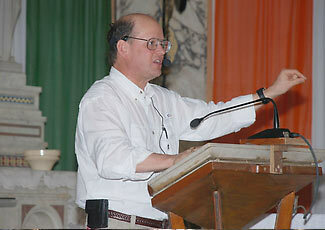 Steve Ray is one of the greatest Catholic speakers and apologists in the country. 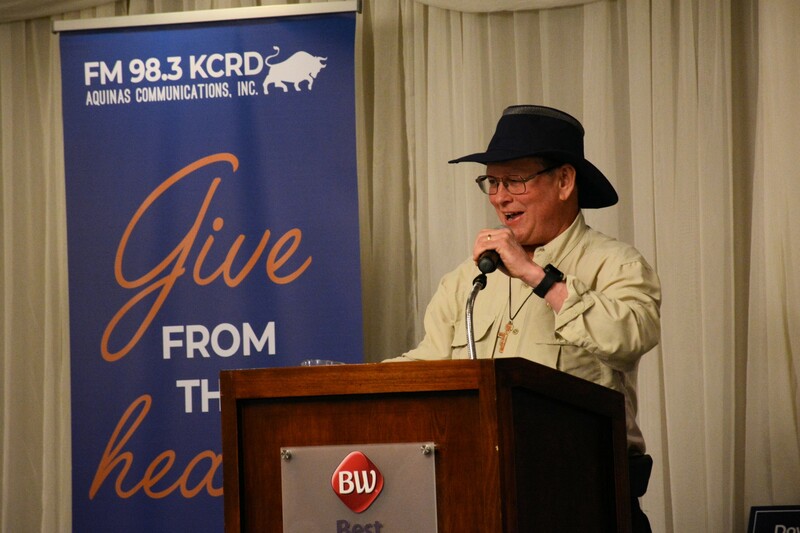 Not only does Steve command a great knowledge of the Catholic faith, Scripture, and history, but he is passionate and enthusiastic, inspiring people to love and live out their Catholic faith. 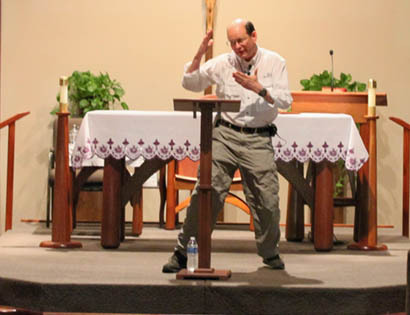 He also makes learning the Catholic faith interesting and exciting. One could say that he brings it to life. Steve Ray is a must have speaker. Thank you for all that you do to help others better know and discover the fullness and beauty of our Holy Catholic Faith. Thanks for coming all the way out to “rural Nebraska” to talk to all of us. God’s blessing on you, your family, and your work! 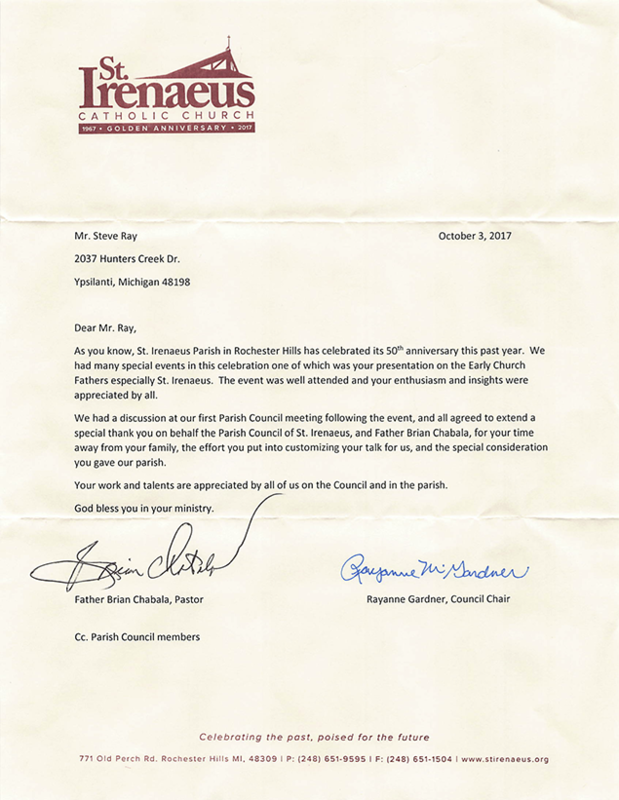 Your work and talents are appreciated by all of us on the Council and in the parish. God bless you in your ministry. 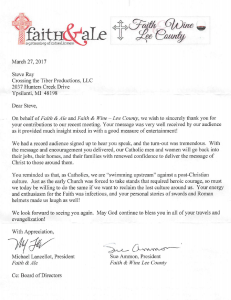 On behalf of Faith & Ale and Faith & Wine – Lee Counly,Florida we wish to sincerely thank you for your contributions to our recent meeting. Your message was very well received by our audience as it provided much insight mixed in with a good measure of entertainment! 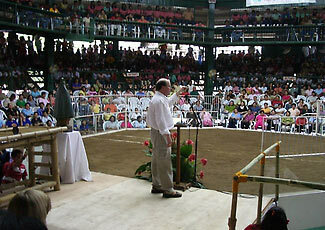 We had a record audience signed up to hear you speak, and the turn-out was tremendous. 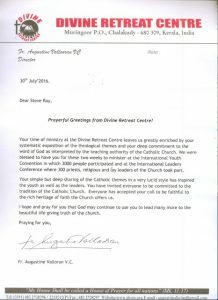 With the message and encouragement you delivered, our Catholic men and women wi ll go back into their jobs, their homes, and their fan1i lies with renewed confidence to deliver the message of Christ to those around them. culture. Just as the early Church was forced to take stands that required heroic courage, so must we today be willing to do the same if we want to reclaim the lost culture around us. 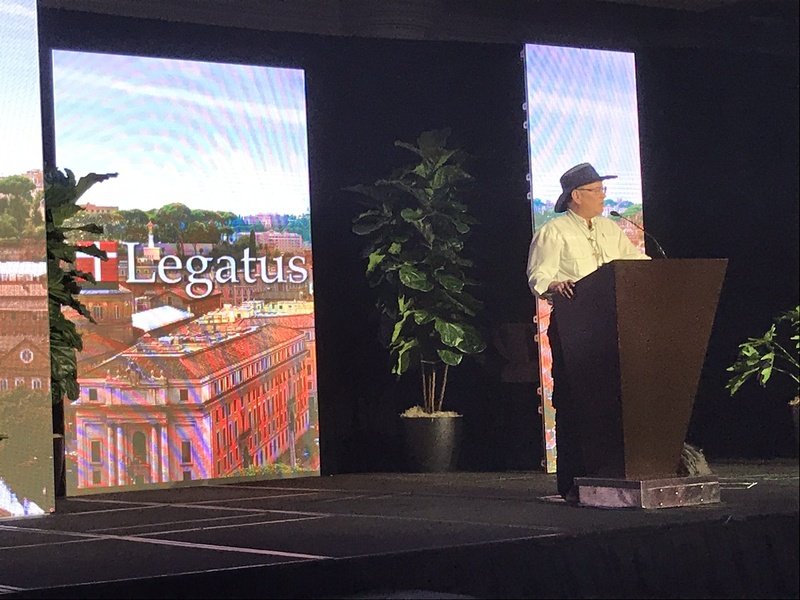 Your energy and enthusiasm for the Faith was infectious, and your personal stories of swords and Roman helmets made us laugh as well ! We look forward to seeing you again. 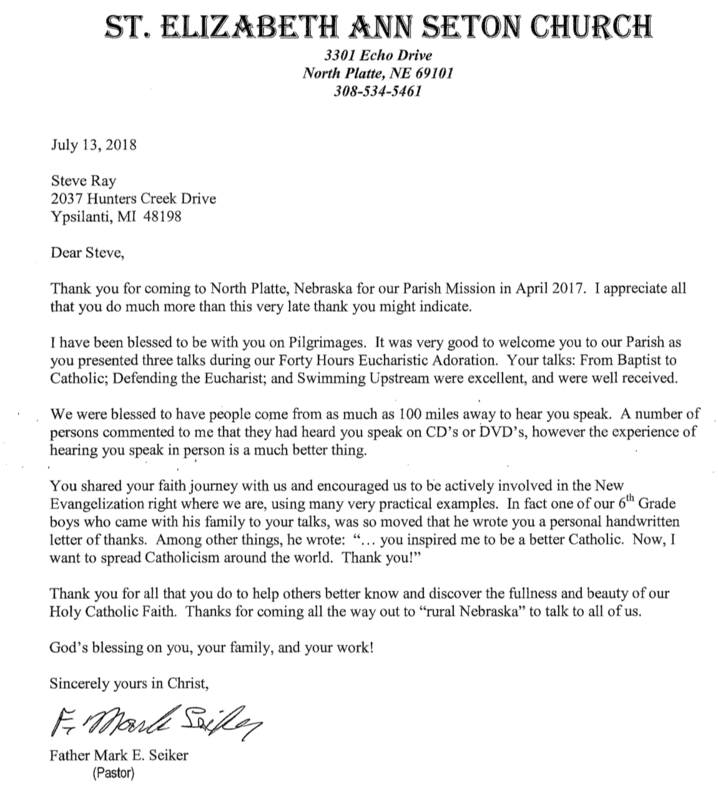 May God continue to bless you in all of your travels and evangelization! 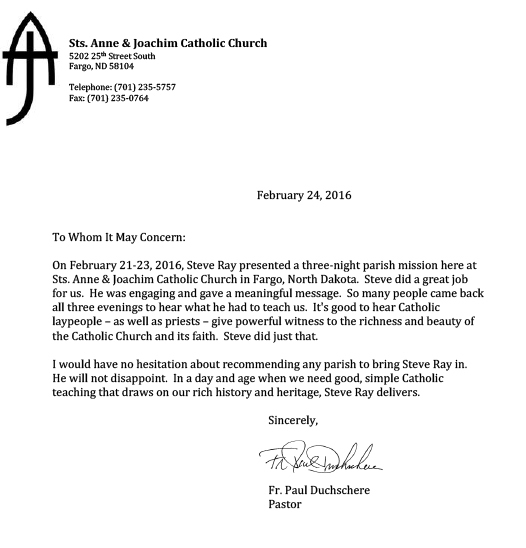 I would like to offer my endorsement for Steve Ray as a great Catholic speaker and evangelist. 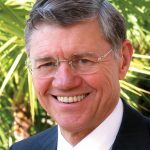 His knowledge and enthusiasm made a great impact on those who heard him speak recently at St. Mary Cathedral…His story of journeying to the Catholic Church from a very strong evangelical background was also very inspiring….Steve Brings a great base of knowledge of the Holy Land and other biblical sites due to his extensive travel and research, having led countless pilgrimages for people of faith. 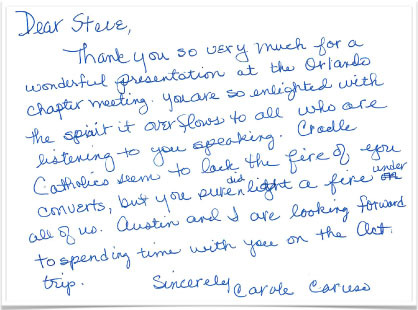 Dear Steve,Thank you so very much for a wonderful presentation at the Orlando chapter meeting. You are so very enlightened with the Spirit it overflows to all who are listening to you speaking. 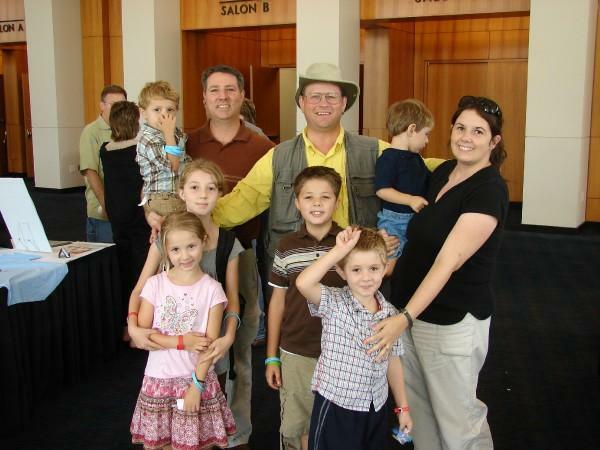 Cradle Catholics seem to lack the fire of you converts, but you sure did light a fire under all of us. Austin and I are looking forward to spending time with you on the October trip. 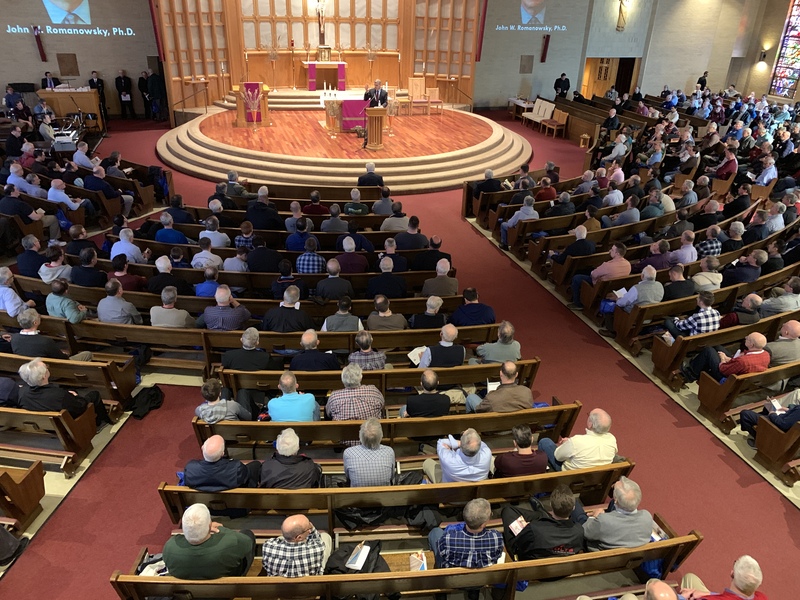 We are blessed to have you for these two weeks to minister at the International Leaders Conference where 300 Priests, religious and lay leaders of the Church took part. Your simple but deep sharing of the Catholic themes in a very lucid style has inspired the youth as well as the leaders. 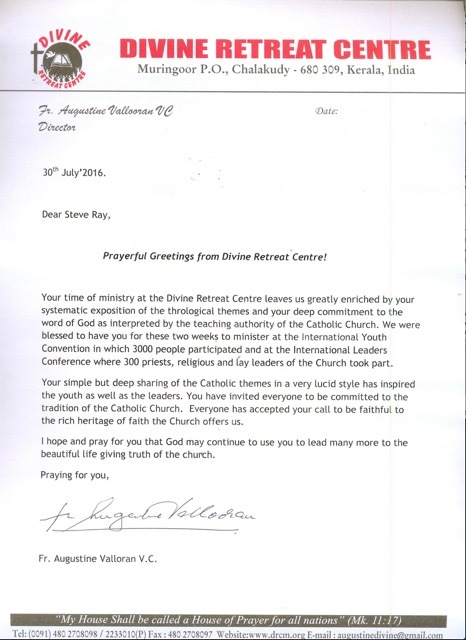 I would have no hesitation about recommending any parish to bring Steve Ray in. He will not disappoint. In a day and age when we need good simple catholic teaching that draws on our rich history and heritage, Steve Ray delivers. 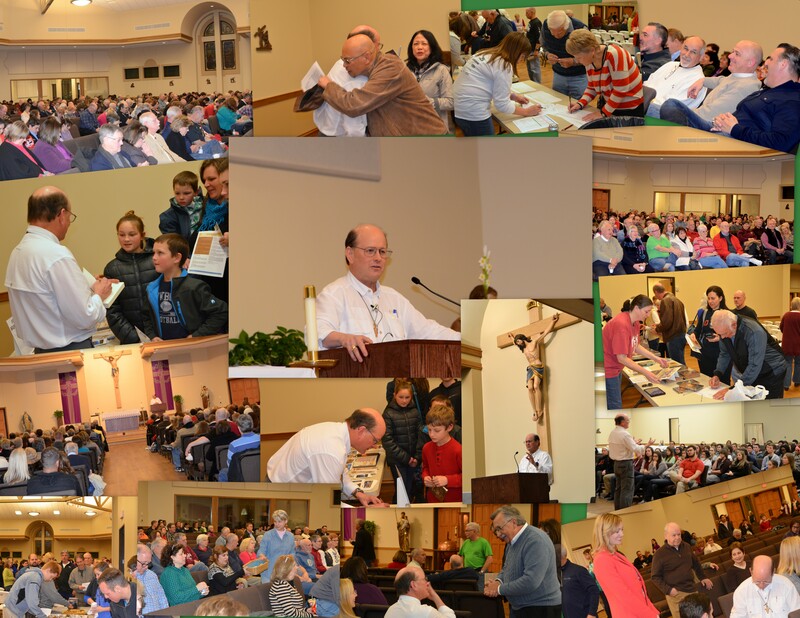 We were delighted to welcome you in the Archdiocese of Newark last Wednesday evening. Thank you for accepting our invitation. Thanks even more for your outstanding presentation which challenged us all to be more forthright in articulating the faith. 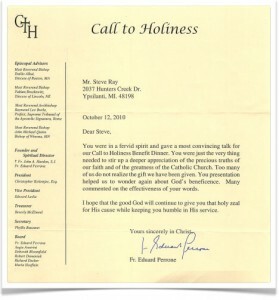 That is very much in the vein of the New Evangelization for with the Popes are calling us. Links below are currently dead. Working on restoring them soon. 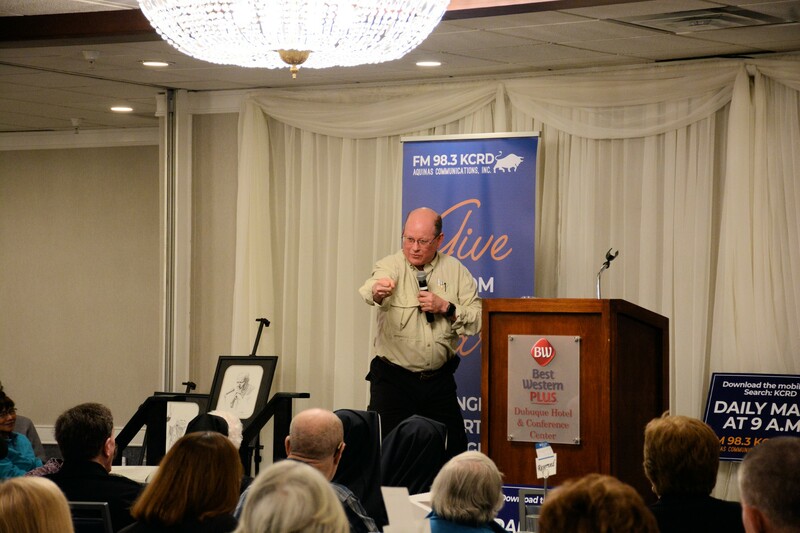 Watch the video below to see how a successful fund-raising event, parish or group event can be with Steve Ray as the guest. 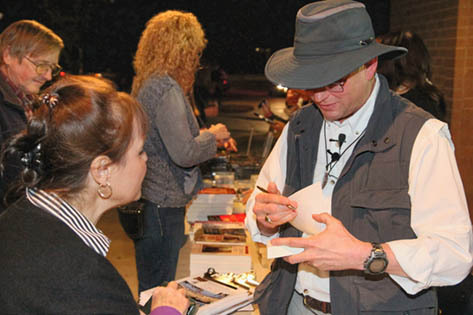 This was an event to sponsor and support Relevant Radio 970 AM in Austin Texas.